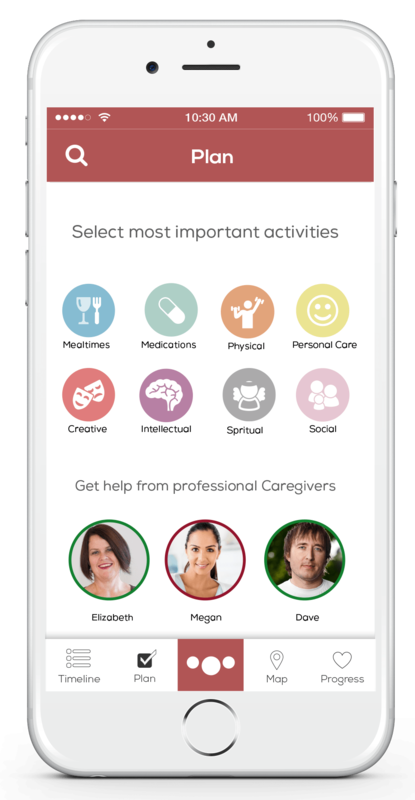 Hipo helps you provide better care to your loved ones, from distance. 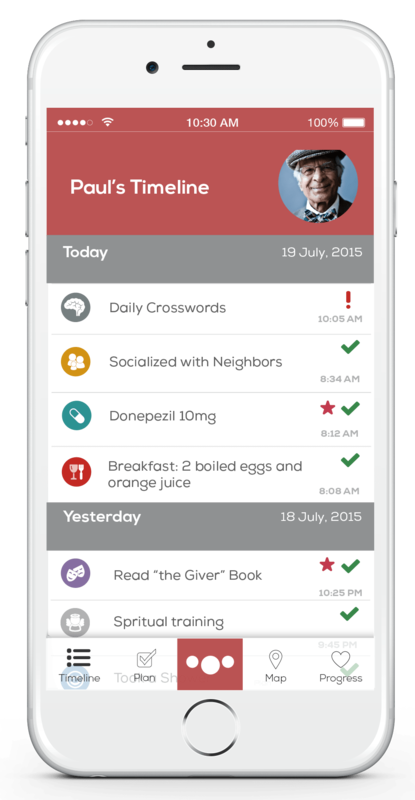 "I usually spend a lot of time preparing a daily plan, I love that hipo does that for me." 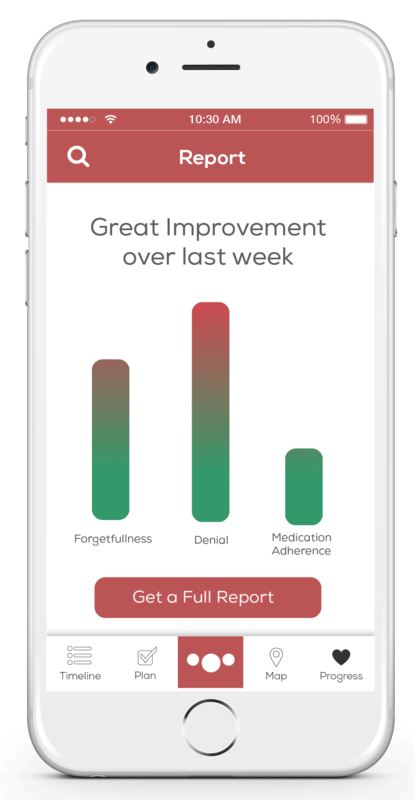 "I have to costantly call my mom to make sure she's doing ok. [Hipo] helps me stay in control while focusing on my work." 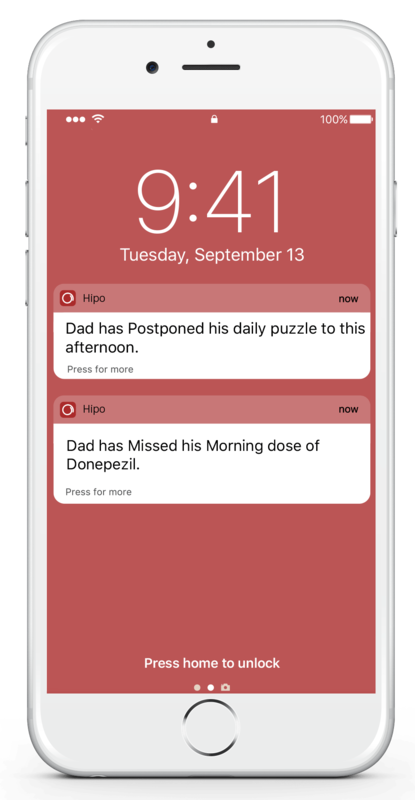 "There are a lot [Elderly tracking devices] out there but I love that Hipo gives me more insights about my dad's [days]." 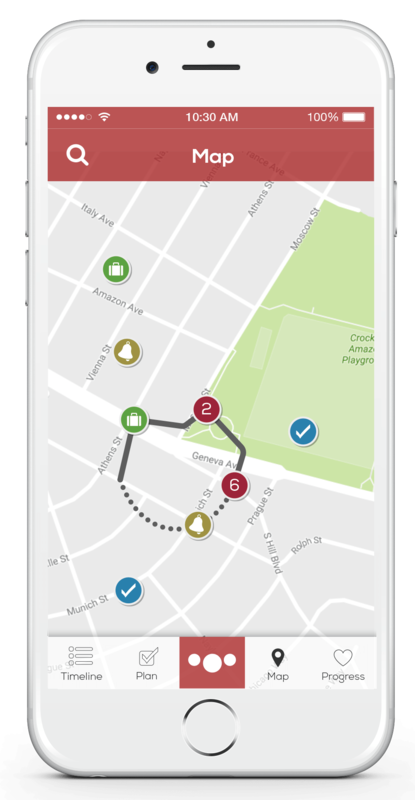 Get instant notificiations on your smartphone in case a daily activity is missed or forgotten. © 2017 Mosaikx Inc. All Rights Reserved.